Readers will learn how to set traffic-shaping parameters in order to manage bandwidth on UniFi networks. Bandwidth management is important to maintaining a functional network while avoiding traffic "bottlenecks." UniFi allows operators to set up traffic shaping at the controller for users. Traffic-shaping policies can be applied at Layer-2 for either groups (e.g., SSID, VLAN) or for individuals (e.g., WLAN client 28, WLAN client 99). 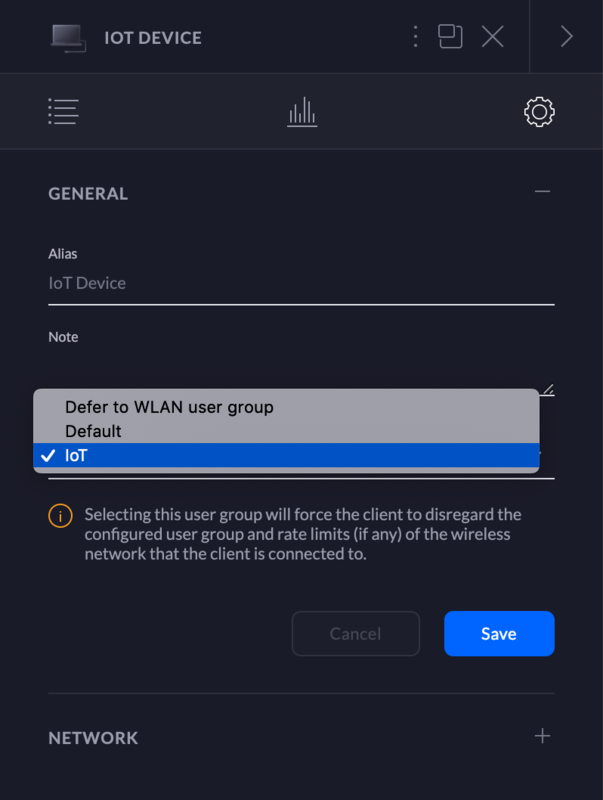 NOTES & REQUIREMENTS: These limits are applied at the WLAN UniFi Access Point, hence this article is applicable to wireless clients only. At this time, traffic shaping cannot be done to wired clients via the UniFi Controller. 1. 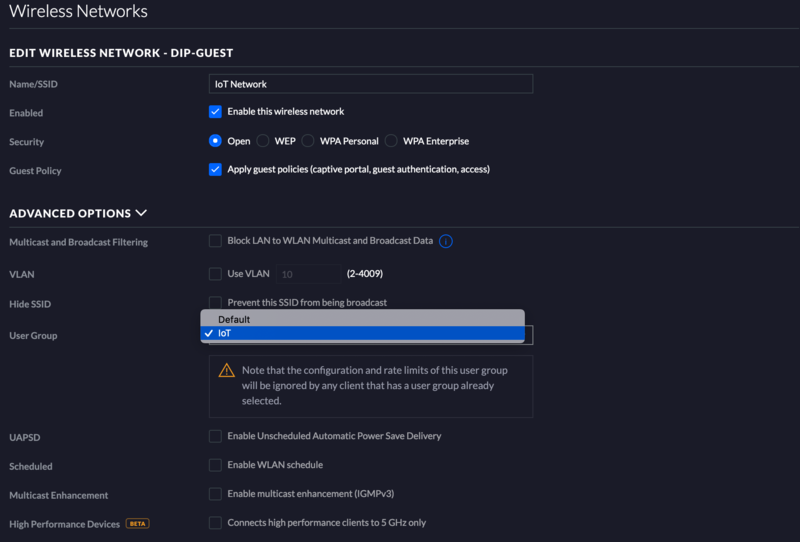 In order to set up traffic shaping/bandwidth management for multiple clients on a UniFi network, navigate to Settings >User Groups in the UniFi Controller. User groups are listed in this section. Each user group employs specific bandwidth limits for both upload/download. The default will have unlimited download and upload. 2. To create a new User Group, click on +Create a New User Group. 3. Type in the name you wish to use for this group and the desired bandwidth limit for upload and download. If you do not check the boxes to limit bandwidth, that User Group will have unlimited bandwidth. NOTE: The bandwidth limit values are limited from 0-102400 Kbps or 0-102.4 Mbps. 4. Select the desired User Group from the drop-down. 1. Go to the Wireless Networks tab. 2. Click Create a New Wireless Network. 3. Add a Name and other configurations as desired. 4. Under Advanced Options select the User Group you previously created (see section above).